Jingle Bells ga Tomaranai (ジングルベルがとまらない lit. 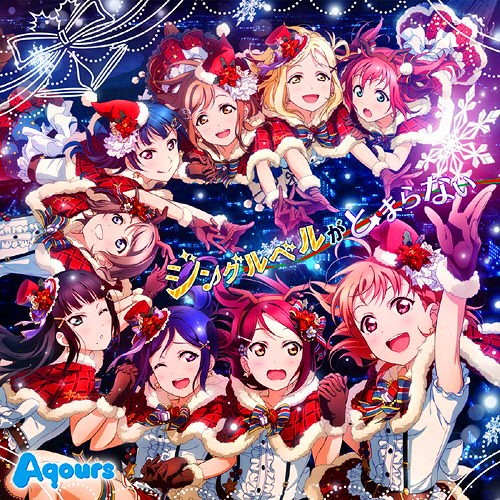 Can't Stop The Jingle Bells) is a special song by Aqours, written for the iOS and Android rhythm game, Love Live! School idol festival. It was released on November 23, 2016. The song is written by Hata Aki, composed by Mitsumasu Hajime and arranged by EFFY. The dramas are written by Koyasu Hideaki based from Kimino Sakurako's concept. Performed by Aqours (Anju Inami, Rikako Aida, Nanaka Suwa, Arisa Komiya, Shuka Saito, Aika For report the broken link ? please Comment.